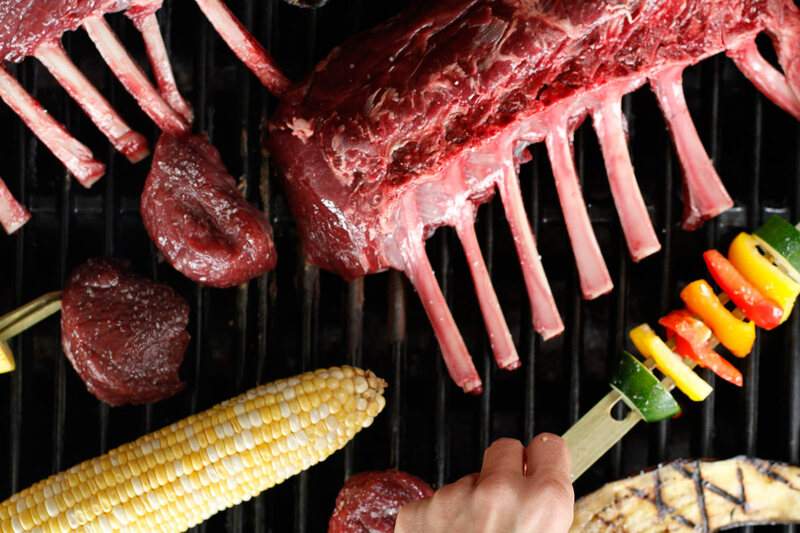 How much do you know about Venison, the Other Other Red Meat? Venison is a staple on many fine-dining menus, but it’s less common in casual restaurants and homes. In search of why that might be, we learned a lot about this delicious meat. All venison is typically considered game meat, whether it’s farmed or hunted, and it all has a similar naturally-dark-red color. The difference in flavor is vast, though – and this might be the first time we find ourselves solidly rooting for Team Farmed. The flavor is subtler and richer, and the tenderness and consistency is remarkable. 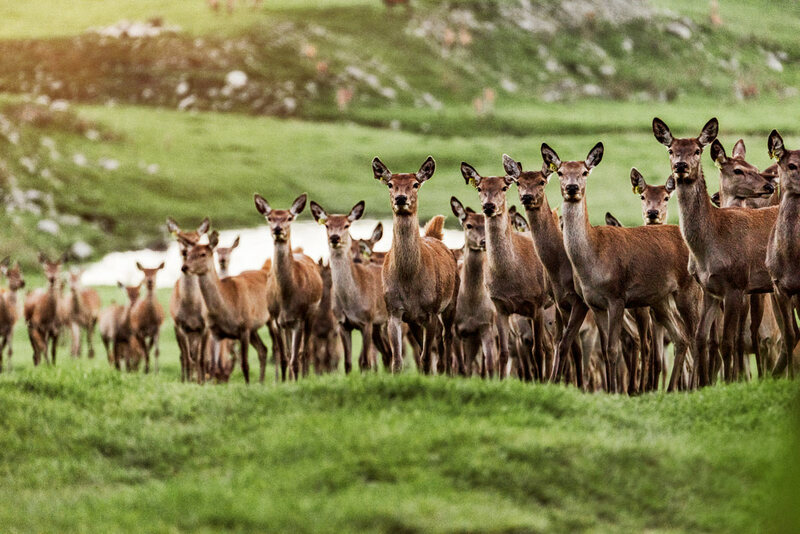 As with other grass-fed meats, the highest-quality venison comes from New Zealand, where the temperate climate allows deer to be raised out on pastures, eating live and growing grasses all year round. In the late 1980s, New Zealand venison farmers wanted a way to identify their best-quality venison. They started with the Latin name for deer: cervidae + venison + a=Cervena. So the term “Cervena Venison” means a lot on a package, but also leaves room for companies to go above and beyond. 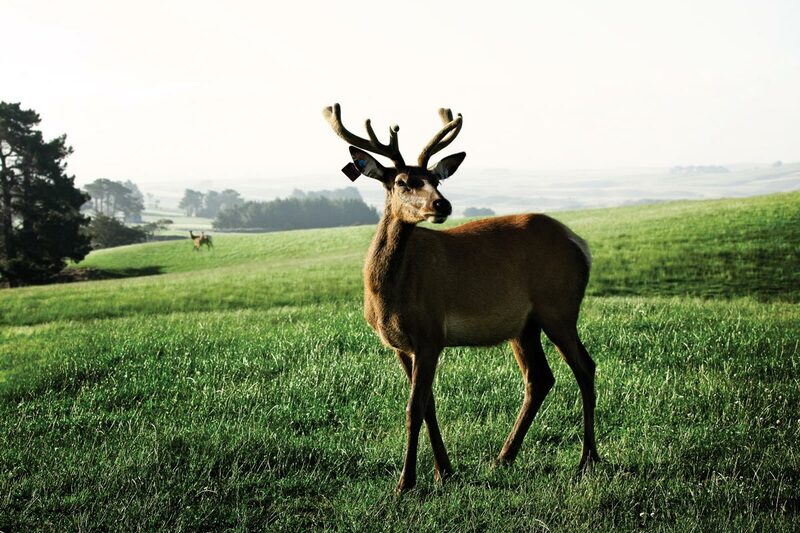 Silver Fern farmers like the Olivers and O’Connells produce some of the best, most consistent venison on the market. Chefs love venison because it’s still a surprisingly unconventional offering, so they can easily impress diners who don’t eat it frequently and are blown away by its flavor and tenderness. 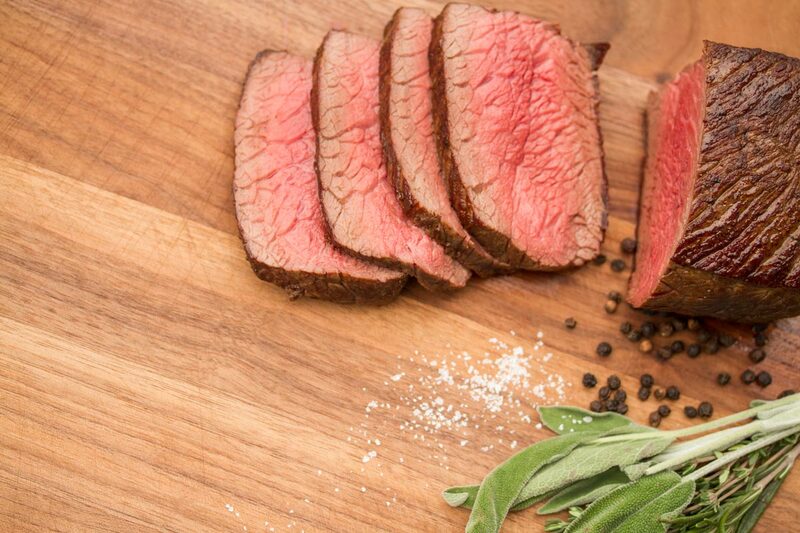 The flavor of farmed venison is mild and slightly sweet. It can be taken in many different directions, but can also hold its own when paired with big flavors like juniper, black and pink peppercorn, and cacao, and in bold spice blends like the one we used in this twist on a chile relleno. Venison has traditionally been used with fall through late winter flavors, but we’re seeing chefs and home cooks increasingly using it year round, and in downright summery ways. As a rule, high-quality meats tend to be less fussy to work with – the meat will be so tasty on its own that you don’t have to jump through hoops to get great results. In fact, you can prepare it very simply, and it will still impress. Because venison is so lean, coat it with a small amount of oil before it goes into a hot pan or onto a grill. You really don’t want to cook venison past medium rare – because it’s so lean, venison cooked well-done becomes tough and unappealing. Don’t be afraid to get a nice sear on it, but both the flavor and texture will be best when you leave it rare to pink in the middle (and tartare is a great way to highlight its flavor). Using venison in appetizers is a great way to try it out and showcase its great flavor. 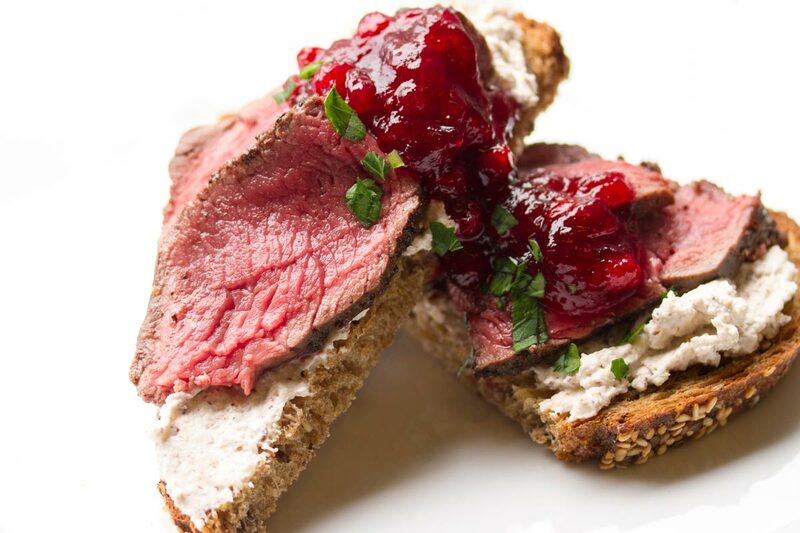 In our test kitchen, we’ve loved serving venison with hazelnut crème fraiche and lingonberries, with an easy and super tasty horseradish sauce, and with cauliflower and a black trumpet mushroom gremolata. Venison is lean, low in fat, cholesterol, and calories, and high in iron. According to the USDA National Nutrient Database, Cervena venison has one-fifth of the fat and 100 fewer calories per 3.5 ounce serving of beef. Red meat is one of the best sources of easily-absorbable iron, and venison contains more iron than both beef and lamb. Venison is also classified as a “nutrient-dense” source of protein because it’s packed with many nutrients required for good health, like zinc and a number of B vitamins including B12. Interested in giving venison a try? Check out our cut guides for specs and more details, and please contact us with any questions.